If sleek and chic are the kind of style you’re going for in your space, then our brushed steel silver double plug socket is the finishing touch you’re looking for. Its understated style means it’ll be noticed for all the right reasons. You need never worry about making sure your sockets are hidden behind a handy piece of furniture again. Each silver steel double plug socket has a beautiful brushed steel finish and a choice of black or white inserts. Absolutely ideal for any industrial interior – Picture them in a modern rustic kitchen setting. Lovely. 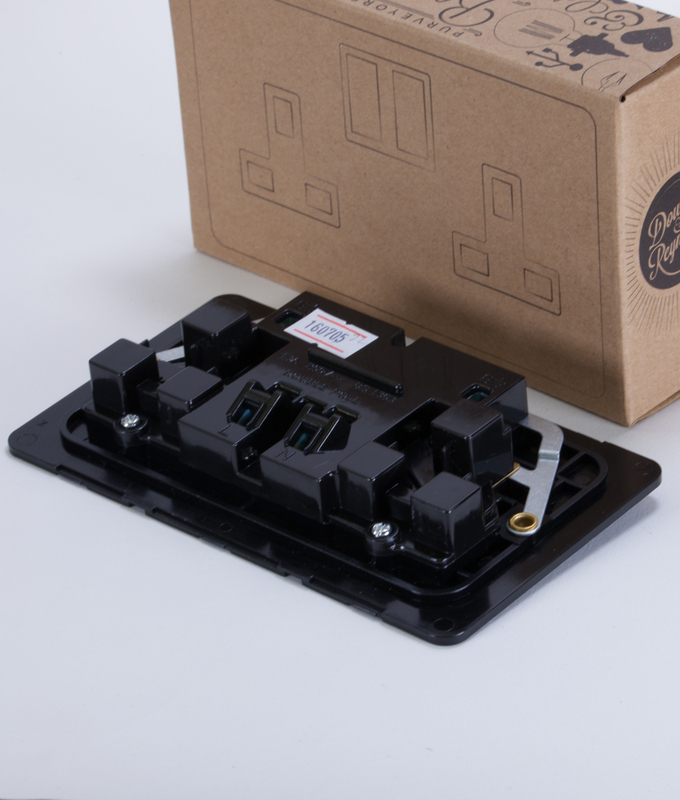 This double steel plug socket has been designed by us here at Dowsing & Reynolds HQ – it’s exclusive to us and only we sell it. If you love this steel socket, then check out the other lighting accessories we’ve designed other to go with it including some very cool light switches. Frankly, if you have factory style steel pendant light shades then only these accessories will do. It’s good quality, easy on the eye and affordable too. We’re all about affordable design here at Dowsing & Reynolds which is exactly why we designed these plug sockets ourselves… And a whole range of matching light switches, dimmers and toggle switches.